Michelle Oosterbaan’s drawings, wall paintings, and installations describe relationships between motion/stasis, and investigate ideas of cartography, memory and the idea of place, in an ever-evolving notion of the sublime landscape. The traditions of architecture, science, religion, and poetry, deeply inform her current work. Her wall paintings chart and change space within the given circumstances of architecture. Her large drawings are cognitive maps that reflect my impressions of being in the world. Her working process is improvisational as the act of drawing guides my search for a new narrative. Her fascination with light and land is rooted in her studies of plein-air painting as a teenager in Washington D.C. A prolific traveler, her residency fellowships include the Cite des Arts International, (Paris 2008), The MacDowell Colony (2004), Yaddo, as a John T. and Catherine E. MacArthur Fellow (2003, 2005), and VCCA (2016, 2009, 2006.) Additionally, travel to residencies in Austria, The Netherlands, Iceland, and Berlin, Germany have expanded her research. 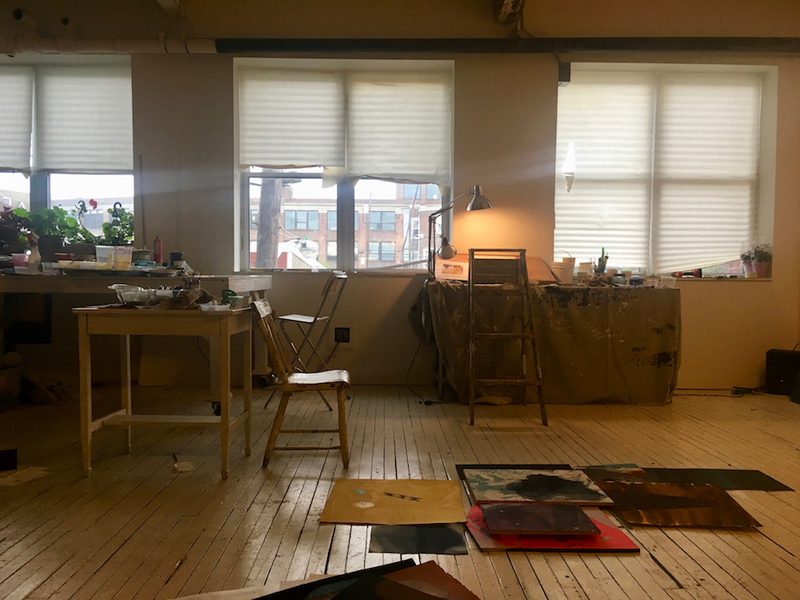 Oosterbaan has exhibited internationally including the Weatherspoon Art Museum, The Drawing Center, The Delaware Art Museum, The Pennsylvania Academy of Fine Art and Museum, The Contemporary Art Museum St. Louis, MO. Recent public art projects include the Democratic National Convention and the Mural Arts Philadelphia. Her drawings are in the Contemporary Drawing Pierogi 2000 Flat Files and The Drawing Center Viewing Program. Oosterbaan’s work has received critical responses in Art Papers, The New Yorker, and Fukt, Berlin, among others. She has experience in the public art realm designing community based (interior and exterior) public art commissions in collaboration with the DNC, The Mural Arts Program, The Moore College of Art, and The University of Pennsylvania. She has a BFA from Washington University in St. Louis as a Fred Conway Scholar and an MFA from Indiana University with post-graduate studies in Florence, Italy. Currently she teaches at The Pennsylvania Academy of the Fine Arts and the University of the Arts.